7.0" x 9.0" stitched on 14 count. 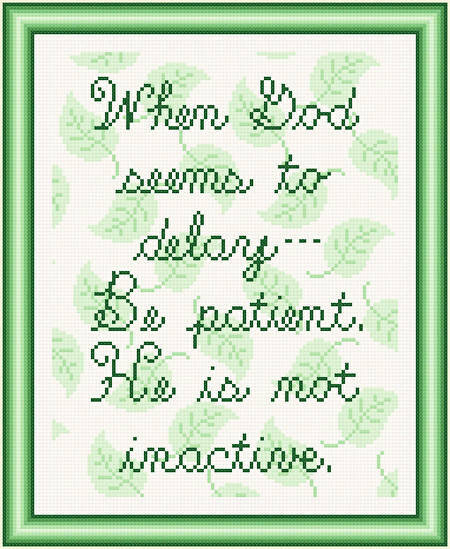 Be Patient cross stitch pattern... Design tells us that not receiving immediate gratification does not necessarily mean that all hope is lost. Inspired wording is presented on background of leaves. Whole stitches are used.